Healthcare | Commercial Draperies and Blinds LTD.
Medical centers and hospitals have unique needs for controlling sunlight and creating privacy for patients care. Cover Story has extensive experience designing for healthcare environments. Psychiatric wards and nursing homes also require specialized window coverings that are attractive, practical and safe for residents. Your patients deserve quality care and a pleasant environment. Call us for design ideas for your hospital, nursing or medical environment. 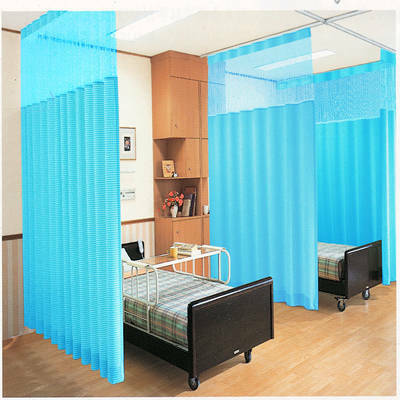 At Commercials Draperies and Blinds LTD., we offer a full line of contract and designer cubicle curtains and hospital privacy fabrics. From basic fabrics to thousands of designer patterns and colors, our curtains meet or exceed local, state and federal safety codes. Many of our fabrics include antimicrobial properties. We also furnish certificates of flame retardancy for fabrics used in the manufacture of our cubicle curtains.